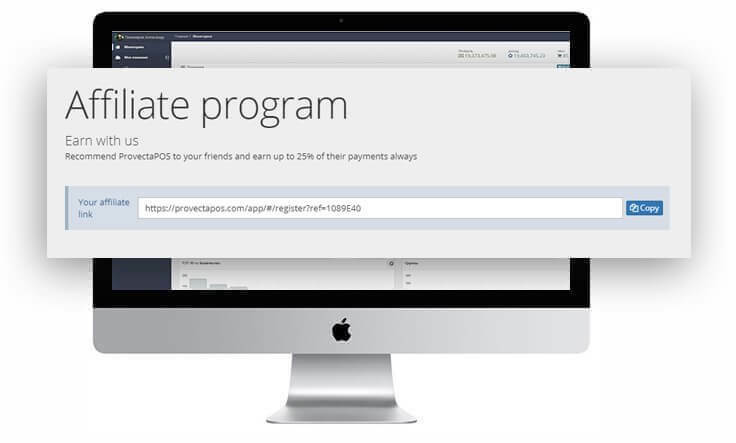 Register for free at ProvectaPOS.com to join our affiliate program and become one step closer to the opportunity to receive a passive income. 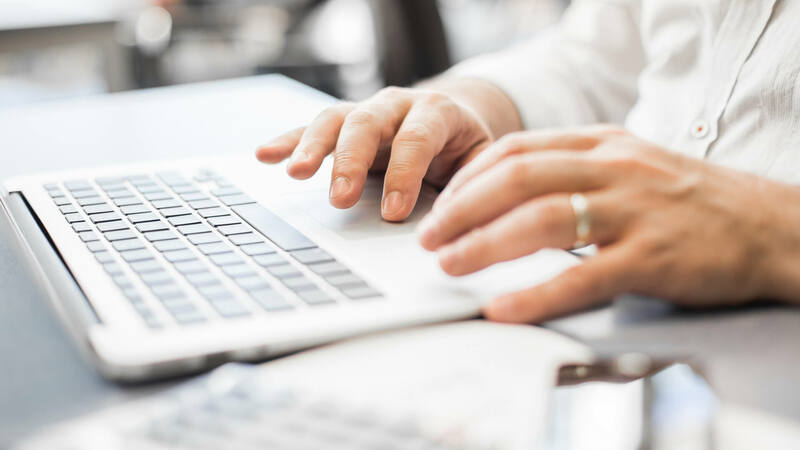 The registration will take only a couple of minutes, after that you will enter your personal account where you will find a unique referral link “my company” – “affiliate program”. The referral system will give you a link so that you can invite a friend or your family and other people to ProvectaPOS. 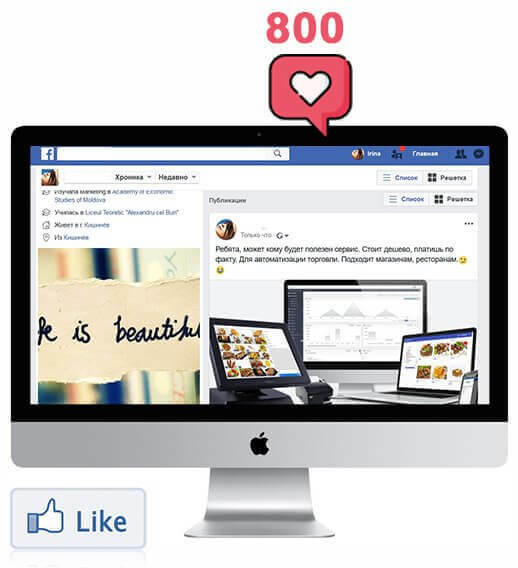 Place a link about the ProvectaPos service on your site or in the social network. Choose beautiful banners and posters that are suitable for your design and attract referrals. For each client you find, you get a monthly reward. All the referrals’ registrations are recorded by means of a unique link and the data goes to the personal account. 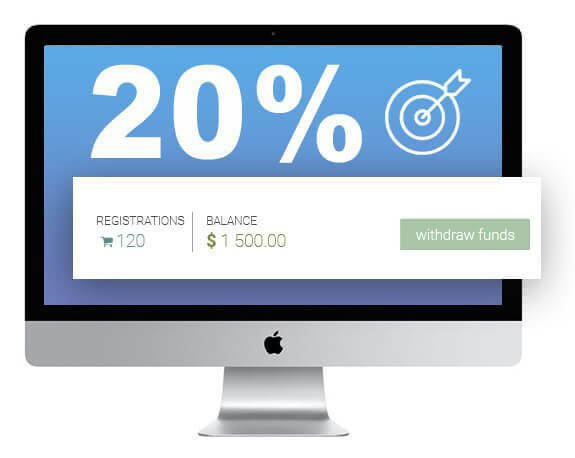 For each your client you receive a monthly reward of 20% of all the payments. Every time a customer renews a subscription, you earn. The more customers you find through a unique link, the greater income you will have. The money is accrued after the new user make a payment of the tariff plan. Payments are based on the accumulated amount. When you have more than $100 on your balance, the calculation will be monthly. If the amount is less, then the calculation will be once a quarter.